VIPAccessEXCLUSIVE: Lucki Gurlz Updated Exclusive Interview With Alexisjoyvipaccess At Reality Dance’s Fall Jam! The Lucki Gurlz consisting of Lucki Starr, Lucki Zan, Lucki Bree, Lucki Sam and Lucki Kay are truly five stars shining their way through the music industry! These multi-talented young ladies have been compared to being the next “Spice Girls”; and with their excellent performances, covers, and music – there is no second guessing that! The Lucki Gurlz bring excitement, energy, fierceness, and of course loads of awesome girl-power charisma to the stage. The Lucki Gurlz have been making their mark meeting with top-notch and renown record labels during their recent visit to LA; and LuckiCharmz can’t wait to see what these beautiful and musically devoted girls have in store for the years to come! The Lucki Gurlz are definitely marvelous role models to all their fans! 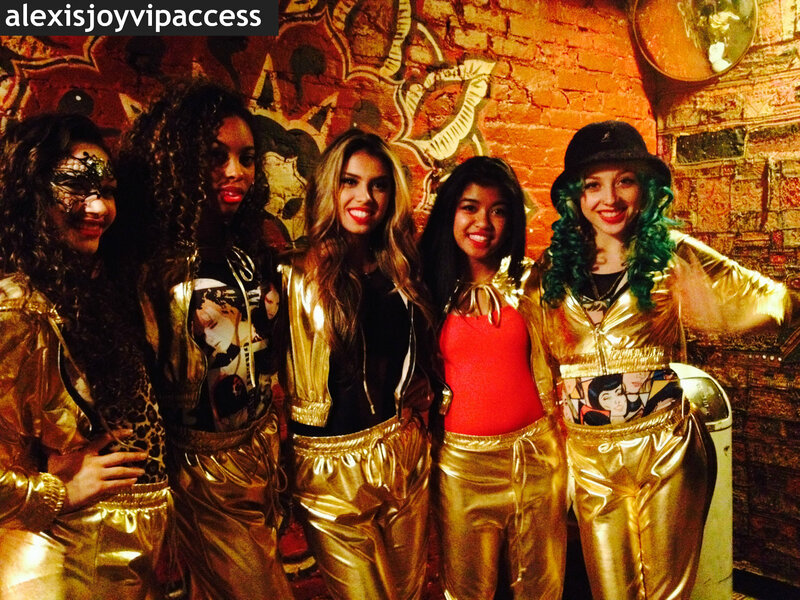 I, Alexisjoyvipaccess had a magnificent time (as always) catching up with and interviewing the fabulous Lucki Gurlz again at Reality Dance’s Fall Jam at The Gramercy Theatre in NYC on November 17, 2013! The Lucki Gurlz dish exclusively to Alexisjoyvipaccess all about their recent, exciting record label meetings, what it was like meeting the one and only L.A. Reid, and more in our VIPAccessEXCLUSIVE updated interview! The Lucki Gurlz even spill on their upcoming projects you all should stay tuned for in our VIPAccessEXCLUSIVE interview below! Thanks for another wonderful interview, Lucki Gurlz! Check out my VIPAccessEXCLUSIVE updated interview with the amazing Lucki Gurlz at Reality Dance’s Fall Jam in NYC below! Previous VIPAccessEXCLUSIVE: Acacia Brinley Clark Exclusive Interview With Alexisjoyvipaccess At Reality Dance’s Fall Jam! Next Article: Brandon And Savannah Wow The Crowd At Their Club Nokia Performance 11/16/13! See Pictures Here!